Whether you are shipping a collection of antiques to the upcoming international fair or your treasured heirloom furniture to family members, our custom antique shipping services will ensure your precious possessions are packed, crated, shipped, and delivered safely to any location worldwide. Be it a Chinese terracotta statue, colonial desk, grandfather clock, or a piece of vintage jewelry, Fine Art Shippers will get it there with care and attention it deserves! Our team of logistics specialists has long been known for providing the highest standard of professional and reliable antique shipping service in the United States and beyond. 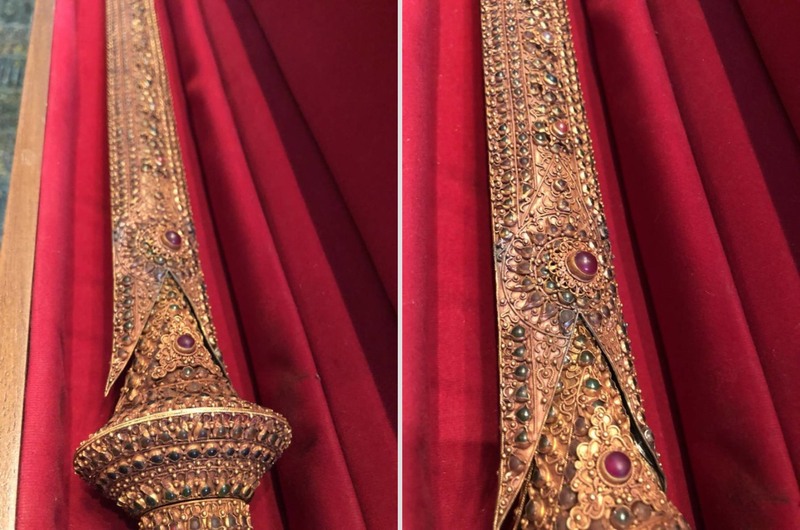 Thanks to our two decades of experience and extensive knowledge in everything related to shipping fine art and antiques, we can deal with objects of any type, including one-of-a-kind and museum-quality artifacts like the amazing gold sword we would like to tell you about. 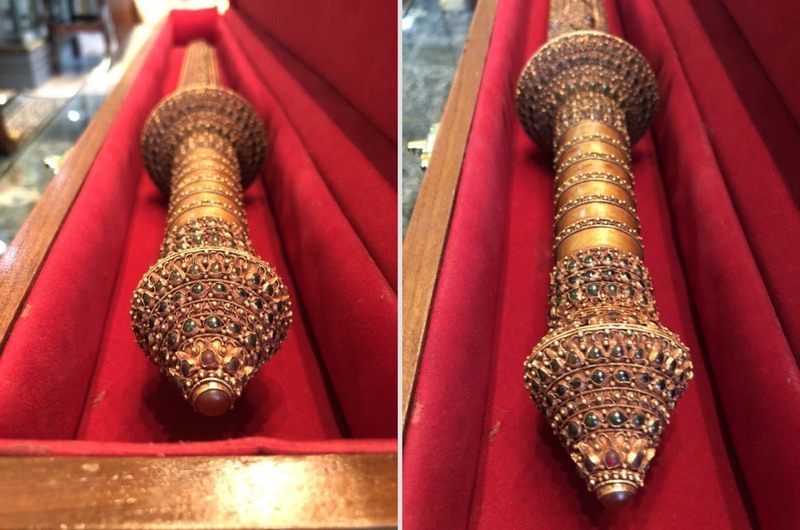 Not so long ago, we were lucky to get very interesting information about an antique gold sword that currently belongs to one family from Thailand. 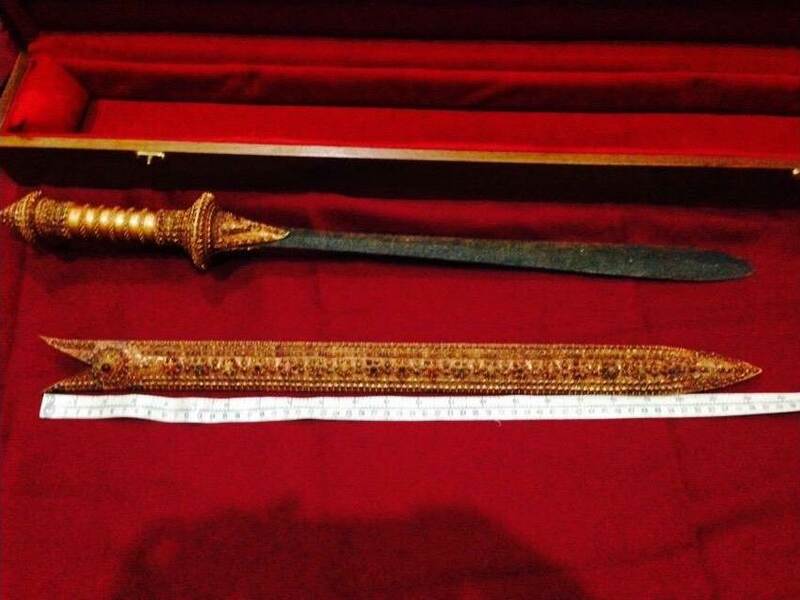 This beautiful 1,200-year-old sword is believed to have been made in the early 9th century during the reign of Jayavarman II who is considered the founder of the Khmer Empire, the predecessor state to modern Cambodia. The artifact was inherited from Phraya Nakhon Phra Ram, the ruler of Phitsanulok, the major city in the east of the Sukhothai Kingdom (north-central Thailand) in the mid-13th century. 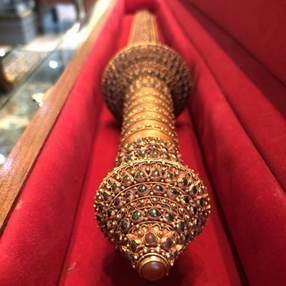 The scabbard and holder of the antique sword are made of 1.4kg ancient gold, carved, and decorated with various natural gemstones. The blade itself is made of nine different metals: gold, iron, silver, copper, mercury, zinc, lead, bornite, and 99.9% copper. The sword is 86cm long and 5.5cm wide. This ancient sword is indeed unique and very valuable, and it is currently available for sale. Since Fine Art Shippers is proficient in providing professional fine art handling and antique shipping services, we would be happy to ship this amazing artifact from Thailand to its new owner. Our art packing and crating specialists can ensure that such an important museum-quality object is delivered to wherever it needs to be in perfect condition. 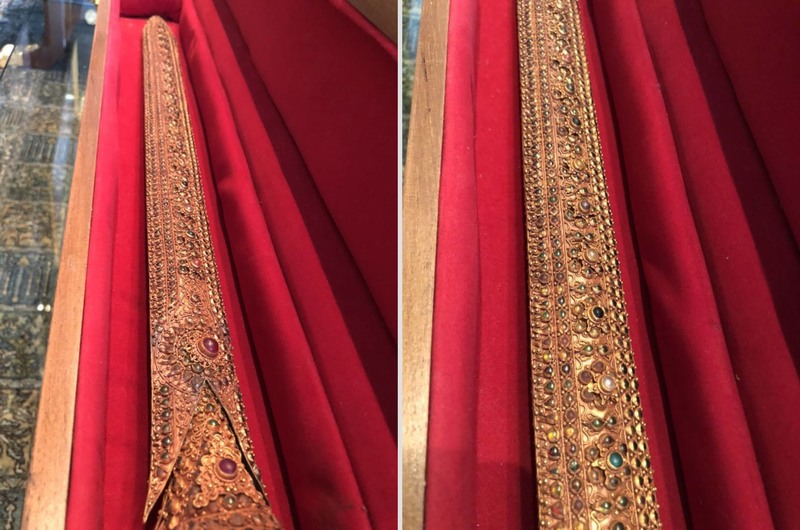 Moreover, our antique shipping services are available at very reasonable prices, no matter whether it comes to transporting heirloom furniture or historically significant items of exceptional value like this amazing gold sword. Fine Art Shippers is always ready to help with any of your art and antique shipping needs!